I’m back from Edinburgh Yarn Festival and I’m trying to find my feet after an amazing but exhausting few days! Just before I left I announced both my Nua Worsted yarn range as well as several new patterns in this new yarn. Now that I’ve got a little more time I’d like to tell you all a bit more about 2 of the Worsted patterns. 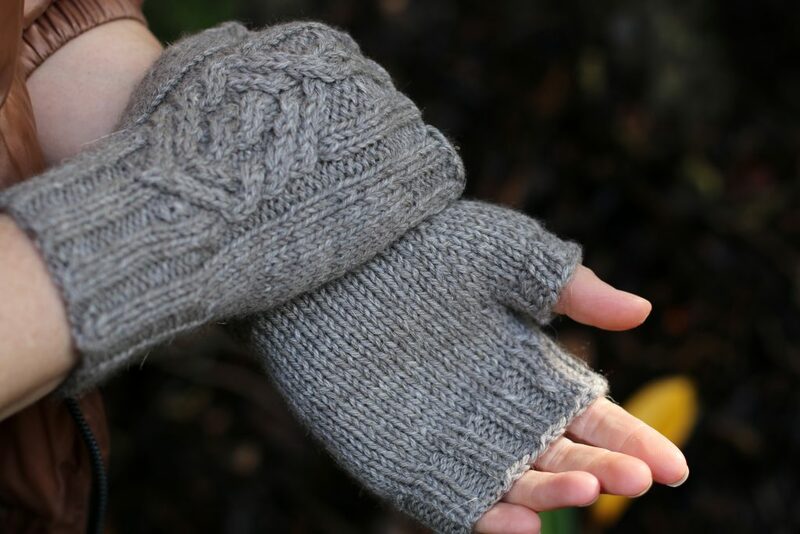 First we have the Peterswell Mitts. This is just the perfect pattern if you want to try out Nua Worsted as they use up almost every ounce of a single skein! They begin at the cuff with ribbing that increases at the front for the cable and then you create a delicate cable on the front of the mitt. The soft, warm, texture is just perfect for extra warmth on a cool day. 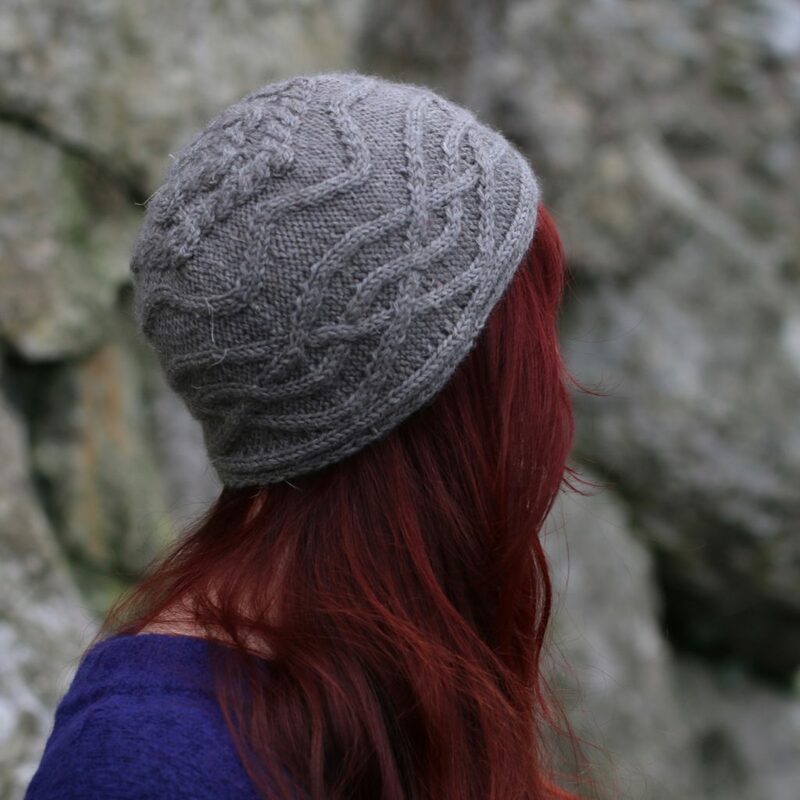 The Liscannor hat uses one of my favourite hat construction techniques; side-to-side using short rows to shape the crown. This hat begins with a provisional cast-on that allows you to create a seamless finish at the end. After that you work wedges from the side; the bottom has ribbing and cable and the top then uses German short rows to create the crown shaping. At the very end you undo the provisional cast-on and graft the start and end of the hat for a seamless finish. The hat is given in one size but small adjustments can be made in a few ways; first of all you could use a smaller needle size for a slightly smaller hat, for a longer brim you can add extra rows of ribbing for a little extra length or for bigger size adjustments short row wedges can be added or taken away. 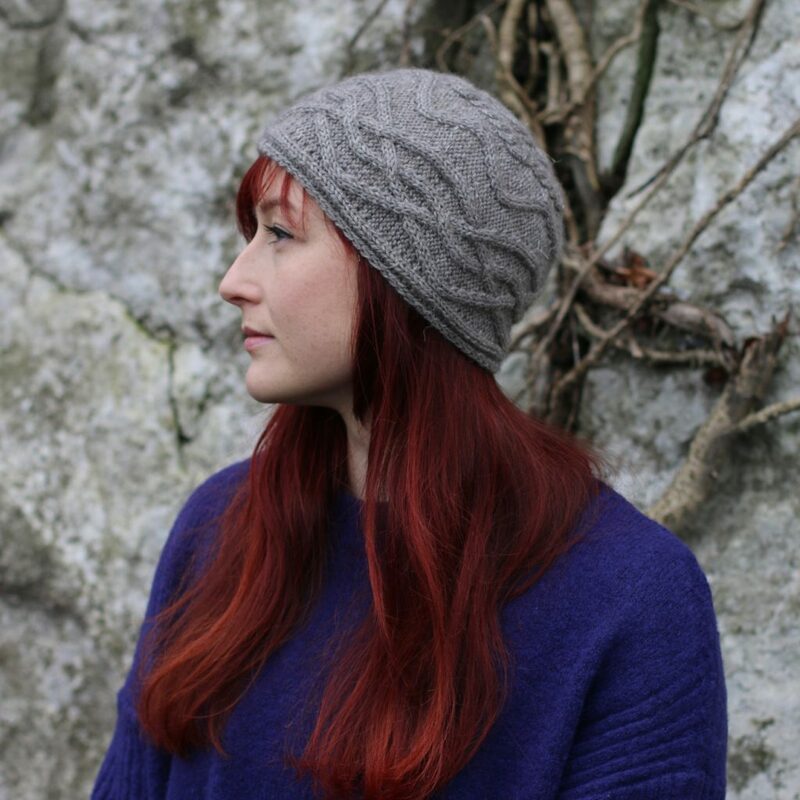 If you want to get Liscannor or Peterswell with a 25% discount use code KNITWORSTED until April 7th. If you are waiting to try out the Nua Worsted yarn I’m just waiting for my show stock to be delivered back to me. I would hope to have it by the end of the week (or early next week at the latest). Make sure you are signed up for my newsletter as I will announce the launch as soon as it’s live. PLUS as an extra bonus I’ll also do a prize raffle for all newsletter subscribers for 5 skeins of Nua Worsted before I send out the newsletter. Beautiful patterns. And the chance to win some Nua Wosted? Woo Hoo! Just bought the Peterswell pattern (thank you for the discount code in your newsletter). Fingerless mitts are a must have staple for me and not only is this pattern beautiful, it’s in worsted which will be a quick knit. It looks like one of my favorite online LYS’s in the US has your worsted weight in stock already (Yarn Scout in Montana). Love the new colors!